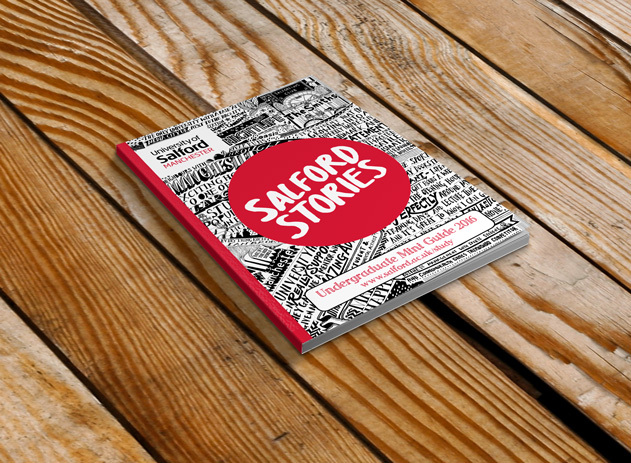 What is it that makes Salford special? Is it the music? Is it the culture? The sport? The fantastic university? 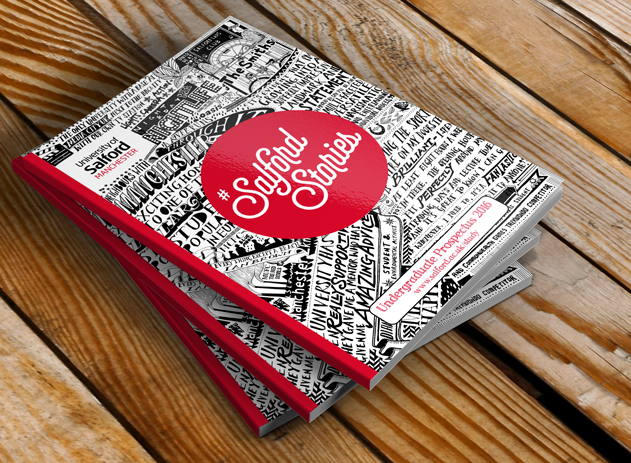 … Well they all help but what truly makes Salford special is its people. They’re the lifeblood of the area and the university. We chose to use this to create an engaging and relevant campaign message that would resonate with potential students and influencers. 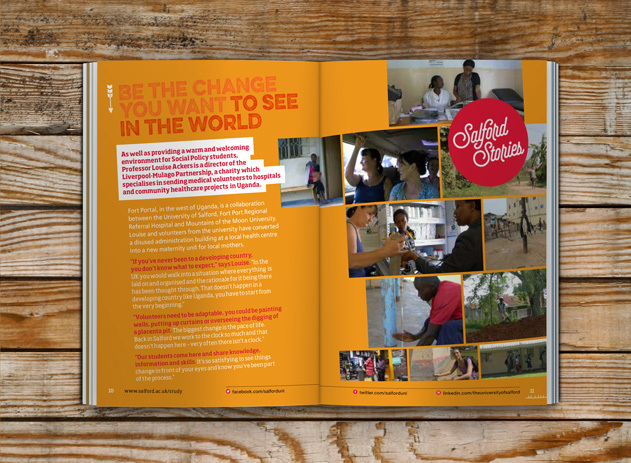 Our campaign makes heroes of past, present and future staff, students and alumni by sharing the unique stories that have made them who they are. 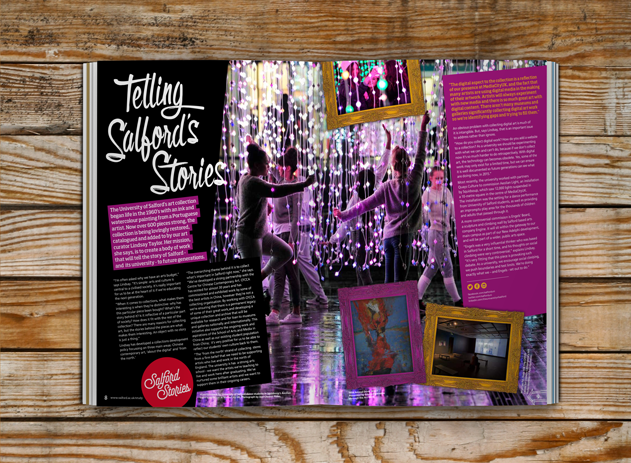 Salford Stories gives the university an engaging and credible platform to communicate with potential students and sell the university on a much more personal, peer to peer level. 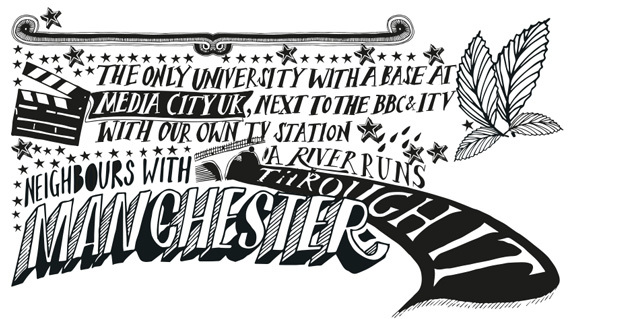 It makes success seem more achievable at The University of Salford because you can see and hear true stories about people who have or are currently achieving greatness with the uni. 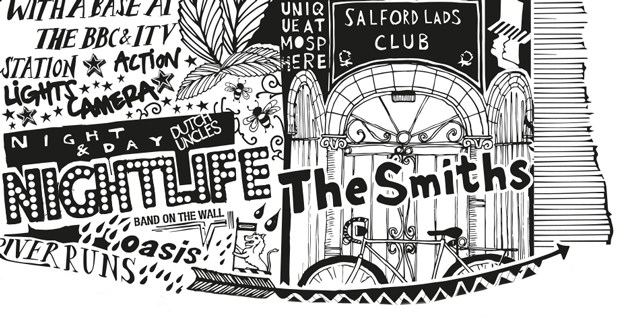 We worked with talented North West artist Roy McCarthy to help bring this idea to life with a series of illustrations that encapsulate life in Salford and express the rich character and personality that both the city and the university can call their own. This project was commissioned with some extremely tight timescales, 6 weeks to be precise, to design and produce the piece. 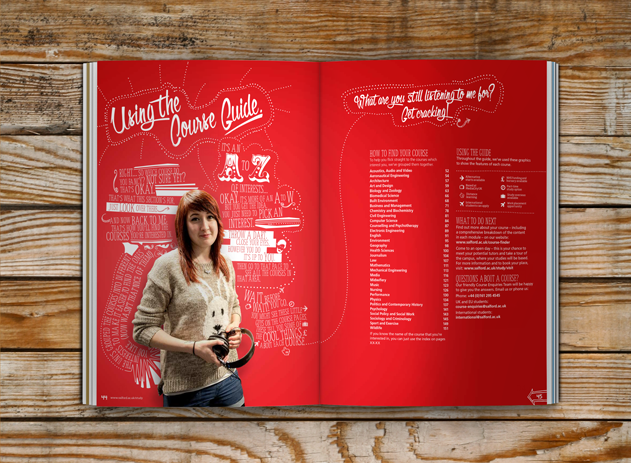 Luckily for us though, we like a challenge and have huge experience of producing high quality prospectuses. We took this challenge with real confidence, belief and swagger and this allowed us to create something fantastic regardless of timescales.